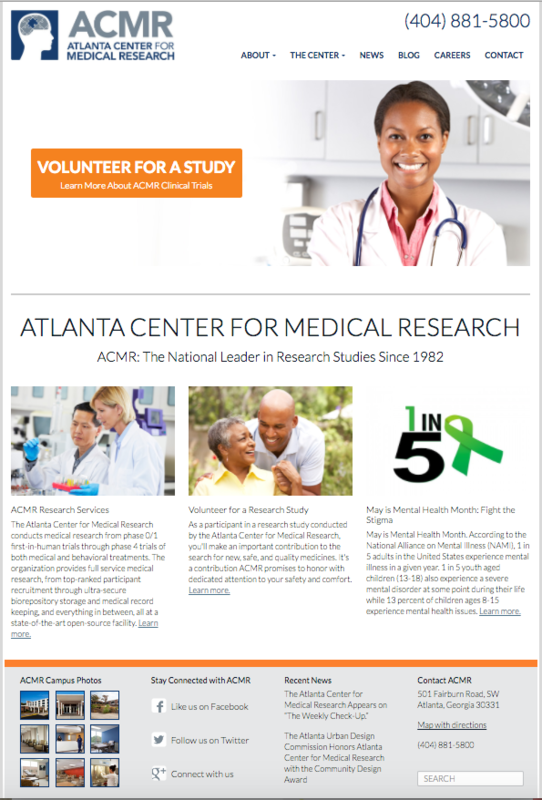 Lenz recently designed, developed, and launched a new website for the Atlanta Center for Medical Research: ACMR.org. ACMR has been a national leader in research studies since 1982, helping to ensure that the medicines that reach our drug stores and our medicine cabinets are safe and effective. The website’s primary goals are to educate potential study participants about current trials, and to provide an opportunity to participate in a study.